Everyone was not satisfied with the beginning of her or his novel. Once again, everyone asked the Internet for help. The Internet had already offered much advice on the subject. “Start at the end,” the Internet had told everyone, but everyone had disregarded that, since everyone didn’t know the end. “Kill your darlings,” the Internet had said, but everyone’s darlings refused to die. “Cut the first three pages,” the Internet instructed. “Start in the middle.” But the first three pages, everyone contended, contained essential information that readers would have to know in order to able to read on, so everyone left them in, though periodically unsatisfied with their quality. Everyone had thought this a grand idea. 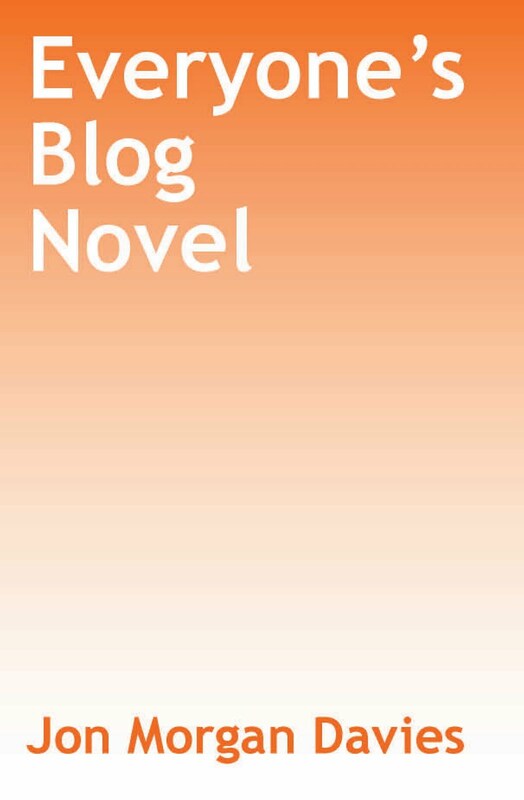 But against the Internet’s advice, everyone posted the start of the novel to her or his blog. And now everyone had evidence that her or his beginning sucked, because no one was reading it--the beginning or the novel. Everyone had not taken into account the dynamics of a blog. The Internet had, and it had mentioned those dynamics to everyone way back when. People read a blog from the most current entry; thus, they always start at the most-recent end, and because a blog is by nature unfinished, readers inevitably start in the middle. Everyone hadn’t thought of that, in fact refused to think of it when the Internet mentioned it. Had everyone thought of that, everyone would have been obsessing over the middle instead of over the beginning. Every middle was a new beginning, the Internet would have told her or him, begging readers to return to read again--from both the past and the future. Instead, everyone had returned to the same question she or he had asked from the beginning: How to start? Everyone’s goal was to find the meaning of life. Everyone wasn’t sure if the meaning of life read blogs, but chances were greater that the meaning of life would read one that had more readers than one that had fewer. Everyone knew the meaning of life knew the Internet. Everyone had seen the meaning of life’s blog, which the meaning of life had given to the Internet. On that blog were photographs of gorgeous people with smiles and tans standing on a motorboat, cans of Popsi Cola in hand. Everyone should have gleaned from the photographs that the meaning of life was all about action, doing something. The meaning of life had fully developed character, which is how it had managed to run off with everyone’s spouse. Everyone, by contrast, was a passive, no-name entity. No one could be certain exactly how old everyone was or whether everyone preferred the toilet seat up or down. The Internet often did this to everyone--made her or him think in new and profound ways. Everyone was very lucky to have the Internet as such a close personal friend that everyone could contact any time, day or night. Everyone loved mystery. Mystery, everyone realized, is what made the meaning of life so intriguing. How do those people on the meaning of life’s boat stay so trim, everyone often wondered, when they drink so much soda? And why were they so happy and tan? And how did the meaning of life get so rich? Everyone had been on a diet for thirty-two weeks and had managed only to gain twenty-two pounds, this despite not having had soda, not even diet soda, in nine weeks. Everyone had lost her or his life savings in a chocolate-buying fiasco. And everyone not only did not have a boat; everyone barely had a substantively working car. What everyone needed to do with the beginning of her or his novel, she or he realized, was to promise to reveal the mystery behind the meaning of life. That would certainly attract everyone--and probably other people too, especially the meaning of life, since everyone loved being written about her- or himself and so probably did the meaning of life. “Look at how successful and tan the meaning of life is,” everyone wrote now during her or his lunch with the intention of posting it that night on everyone’s blog. “I’m going to tell you how and why the meaning of life is this way and how you can find the meaning of life yourself.” Everyone sat back and stared at the words. Everyone felt satisfied.